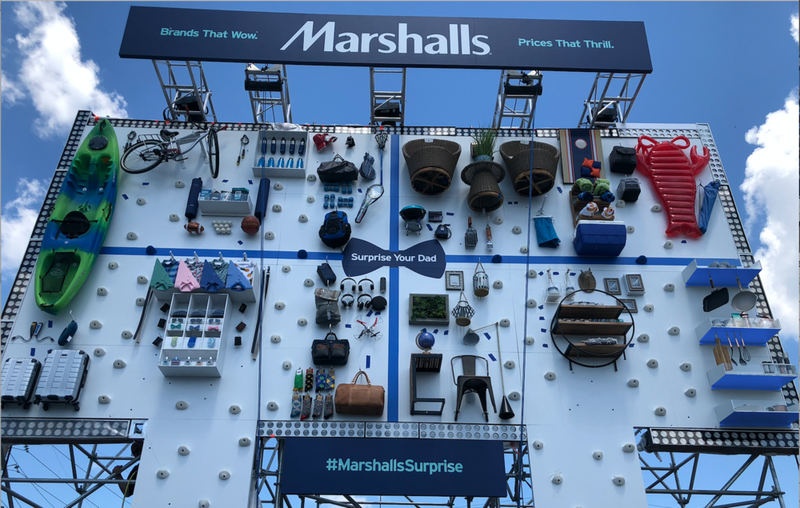 Marshalls unveiled a surprising way to think about gifts for your family's patriarch – bringing the fun of shopping to the streets of New York City with a billboard stocked with fantastic, father-friendly finds. New Yorkers found gifts ranging from classic to remarkable on a larger-than-life billboard in the Flatiron Plaza four days before Father’s Day. 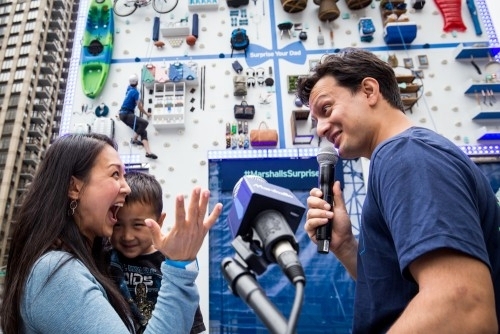 Participants simply shared a dad joke to select one of many amazing products from the gigantic, gift-touting billboard for a certified climber to retrieve.. Brand messaging focused on driving foot traffic to the store and promoting all the in-store activities during the Grand Opening. 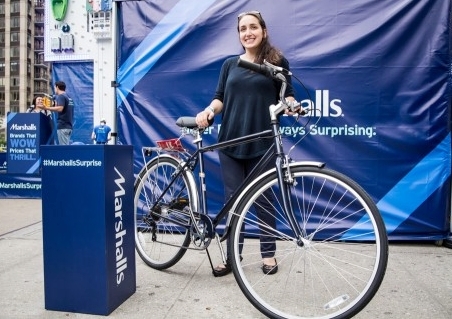 The idea was concepted to help Marshalls attract last-minute shoppers seeking surprising gifts for Father’s Day. The impressive structure stopped people in their tracks and served as conversation starters with the public. The Father's Day billboard embodies everything Marshalls offer their shoppers daily – an ever-changing selection of products, a fun shopping experience, and amazing prices. Managed and coordinated all aspects of production including sourcing talent, bidding of layouts, developing schedules, location scouting/permits, producing giant billboard and branded materials.